I’m excited to share with you a blogging challenge that I have adopted for this month. I am joining The Nester and many others for the 31 Days challenge. This is a challenge in which I (try to) post every day for the month of October about a theme. This is a huge challenge for me because I average between 3 and 4 posts a week. Ladies and gents, this means I will need to double my blogging output—plus, I will continue to post my menu plan every week, so I will be posting more than double! (Here’s some perspective—John and Sherry from Young House Love posts 7 times in a week--they only do weekdays, and that is their full time job. I will be posting 8 times per week. I’ve either lost my mind and will completely and utterly fail, or I will live up to the challenge (no pressure, right?). As I understand it, I should make a theme that is simple and wide open so that I can find 31 posts to write about the subject. 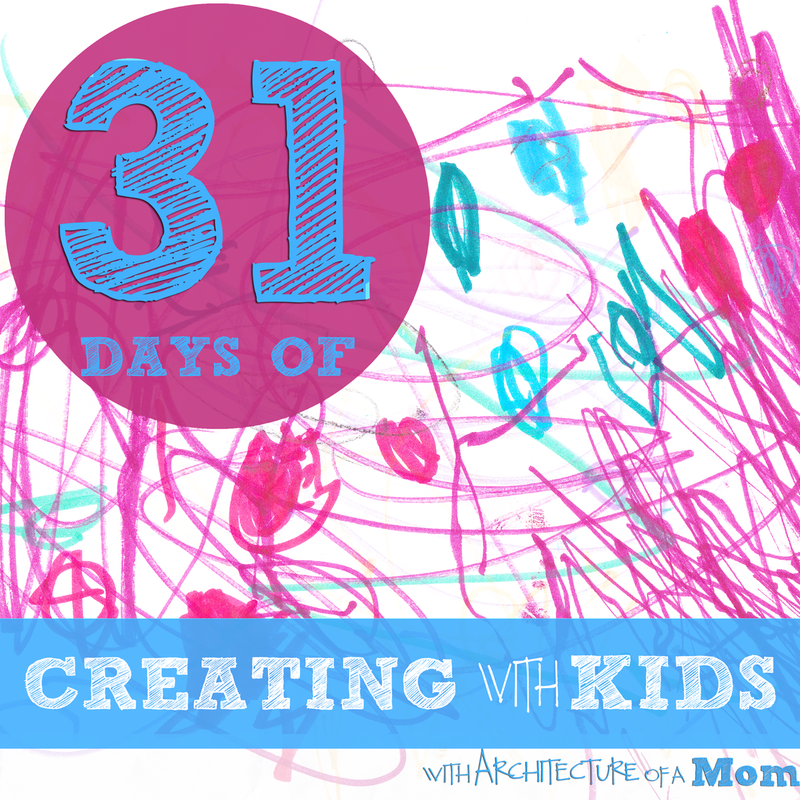 After I guest posted at Artchoo about preparing your child to become and architect, I realized that I have a passion for being creative with my kids. So that’s what I’ll be posting about—being creative with kids. I would love for you to join me all month! I will be linking up all my posts on this topic right here, so you can feel free to bookmark this page for ease of access. I will also be using the hashtag #createwkids throughout the month through various social media. Not only will I be creating things with my kids, I will be exploring the hows and whys of creating with your children. 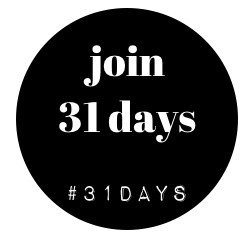 If you want to follow along with the entire crowd of folks adopting this challenge, you can go to The Nester’s blog or use the hashtag #31days. Here’s the list of topics that I am planning on posting. I reserve the right to change the order, content, and titles at a moment’s notice! But I don’t have any supplies…Creative supplies you do have!